Get-togethers abound during the holiday season, and Christmas gatherings give you a wonderful opportunity to try out new recipes, whether you’re cooking for your own family, hosting a few friends, or taking a dish to a party. Today we’ve pulled together more than 35 sweet, savory, and creative Christmas recipes for cocktails, appetizers, entrées and sides, breads, cakes, cookies, and more, perfect for festive holiday meals. **One quick note, if you happened to miss Cyndy’s 2016 Christmas home tour on Monday, you can see it all here. 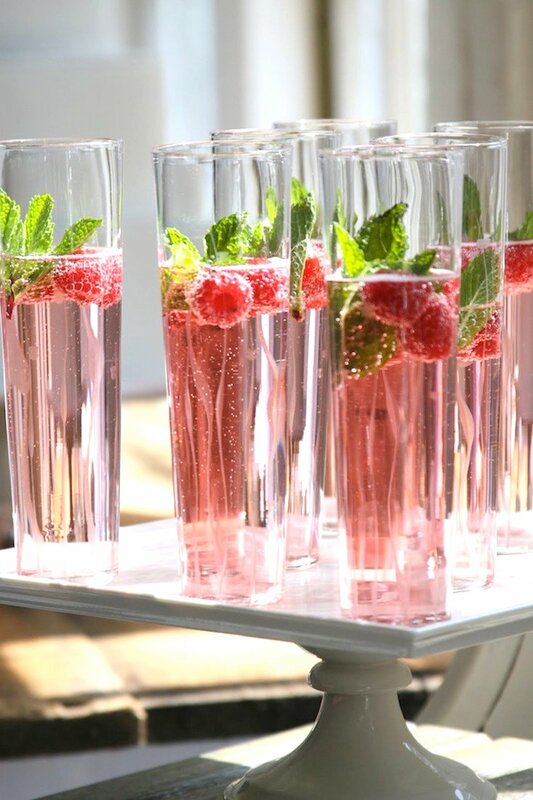 What better time to serve special drinks than at the holidays? These creative Christmas cocktails are sure to be a hit at your home bar. I adore mimosas. 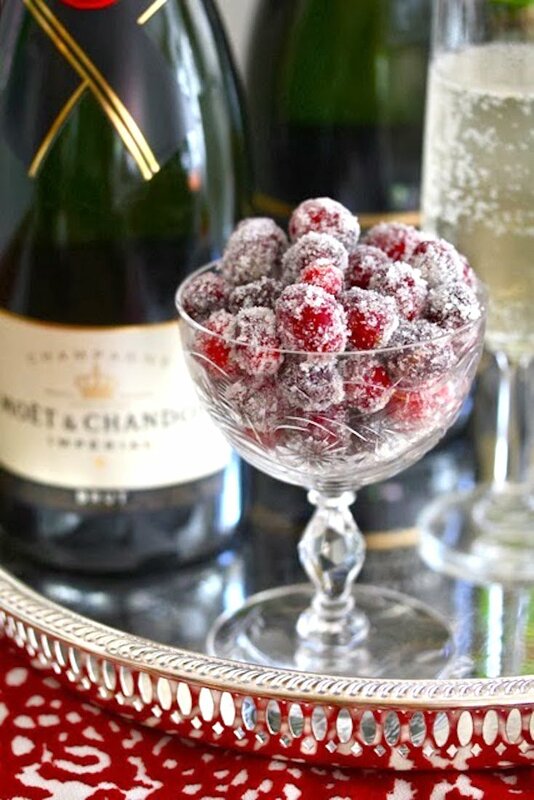 This Sugared Cranberry Ginger Mimosa, made with cranberry juice, ginger ale, and champagne and topped with sweet sugared cranberries (recipe later in this post), seem like a great excuse to pop the champagne cork! 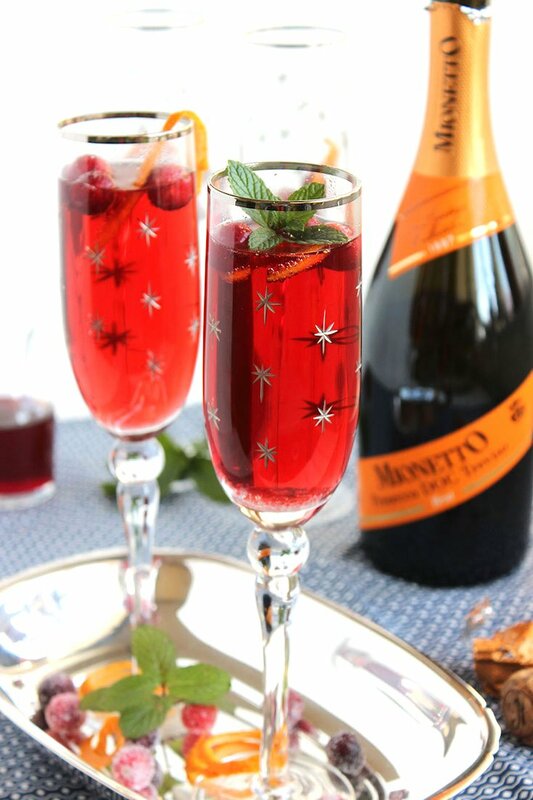 Another cranberry juice and champagne combination, this pretty Holiday Cocktail, made with champagne, cranberry juice, mint, and raspberry, is just right for a holiday brunch. Prosecco is the belle of the ball in this Cranberry Pomegranate Bellini, made with prosecco, cranberry juice, and pomegranate juice. Yum! 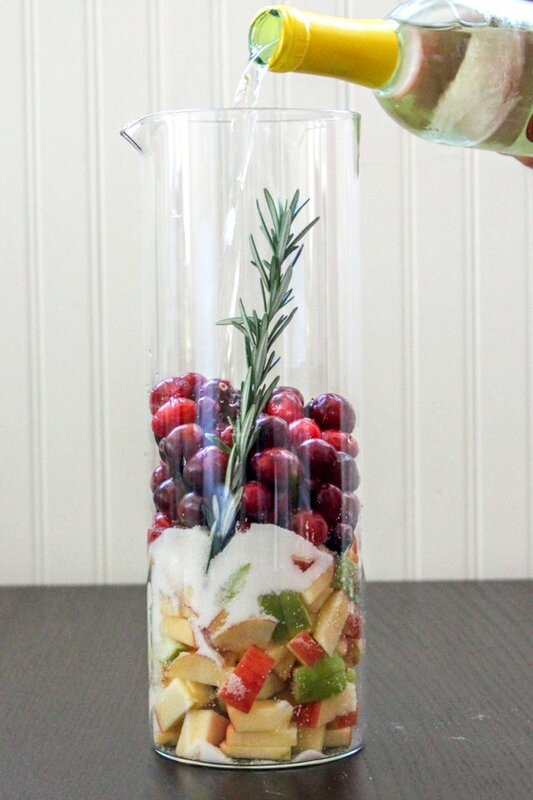 Sangria gets into the holiday spirit in this Cranberry and Rosemary White Christmas Sangria. A garnish of a sugared rosemary sprig takes it over the top. Successful holiday parties start with hors d’oeuvres. Here are several great appetizers to serve at your next get-together. 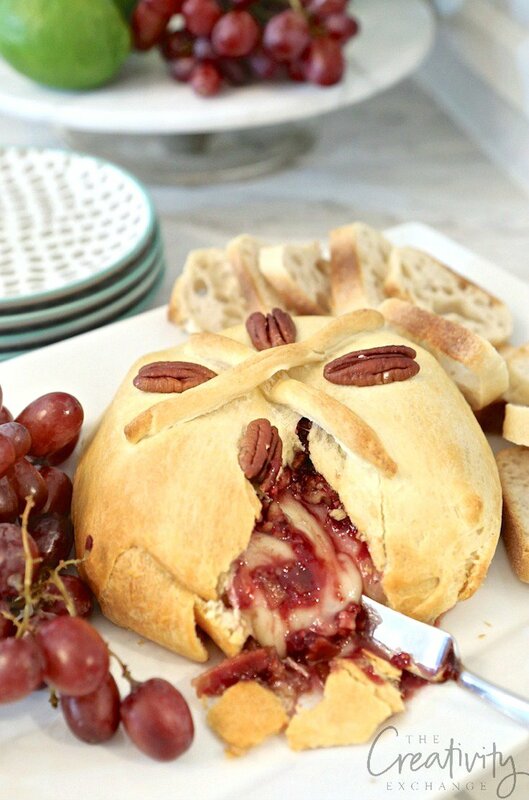 In her surprisingly easy Raspberry and Pecan Baked Brie en Croute, Cyndy combines warm Brie with bacon, raspberry preserves, and pecans. 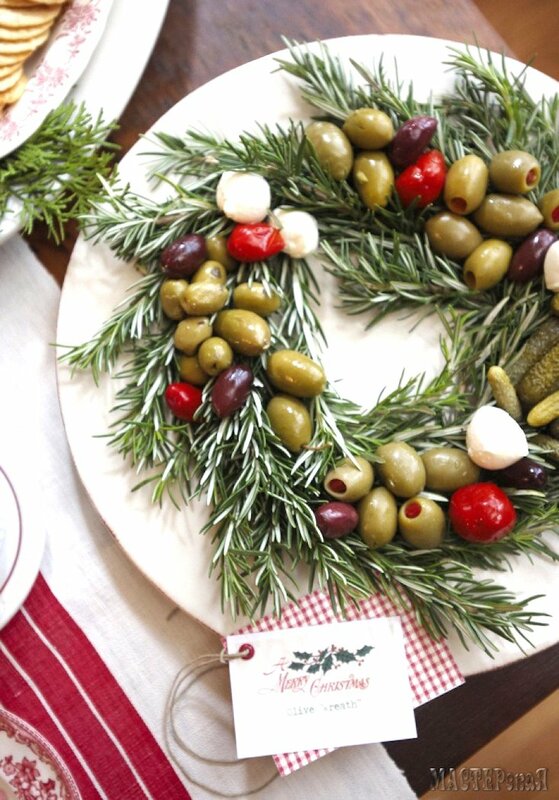 You’ll earn rave reviews from your guests when you serve this edible wreath made with a ring of fresh rosemary and topped with olives, fresh mozzarella, cornichons, and more. 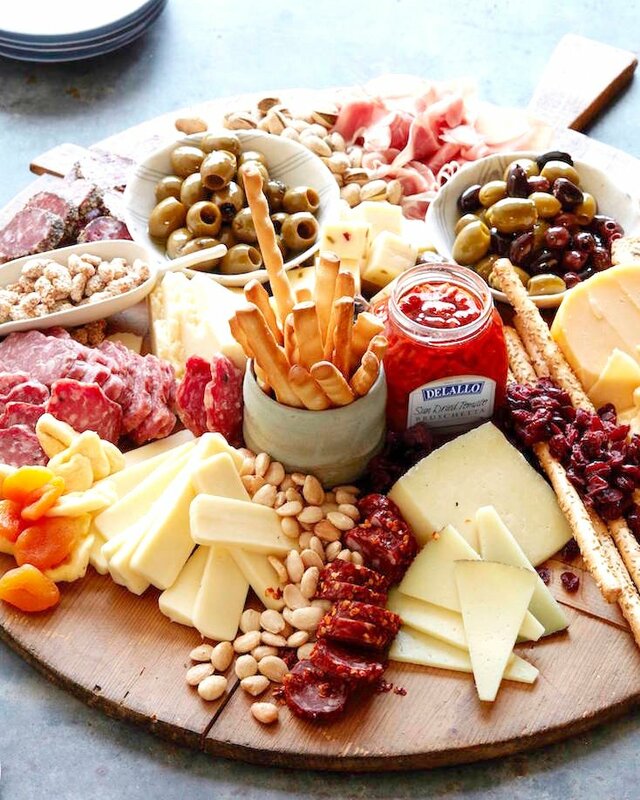 Loaded with meats, cheeses, olives, dried fruits, nuts, breadsticks, and crackers, this cheese-and-more board earns its moniker of Ultimate Appetizer Board. Crostini might be the perfect party food. 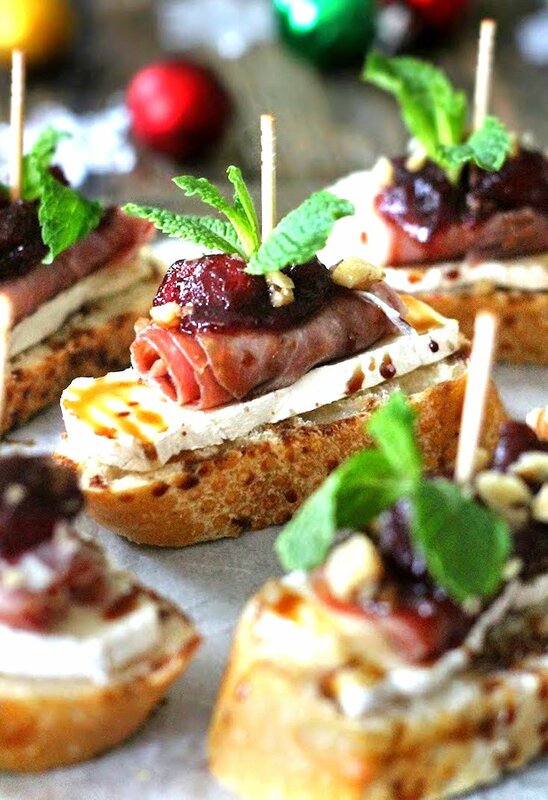 These Cranberry, Brie, and Prosciutto Crostini with Balsamic Glaze will have your guests sneaking seconds and maybe even thirds! 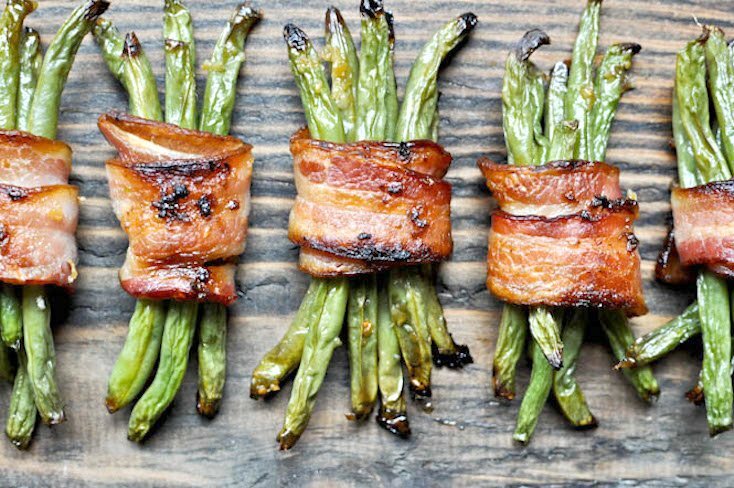 In these Green Bean Bacon Bundles, crisp green bean bundles are wrapped with salty bacon; brushed with a butter, brown sugar, and garlic sauce; and baked to mouthwatering perfection. 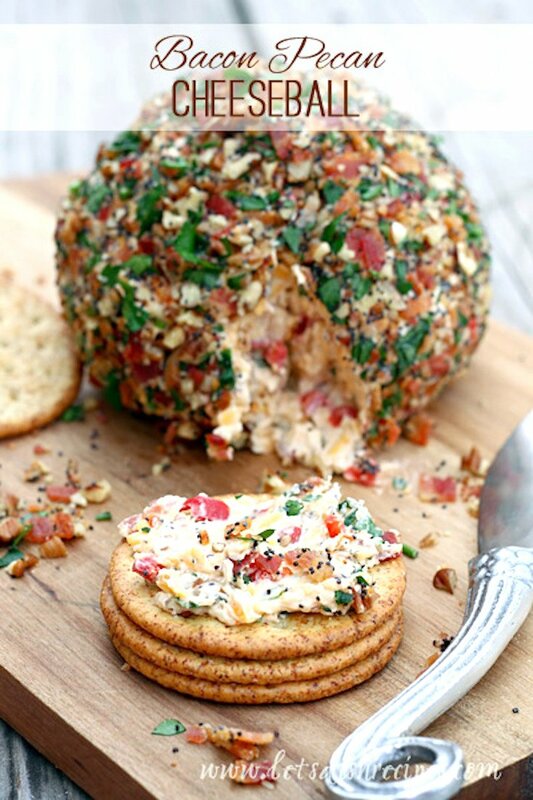 This Bacon Pecan Cheese Ball will easily become a favorite. Be prepared to share the recipe! 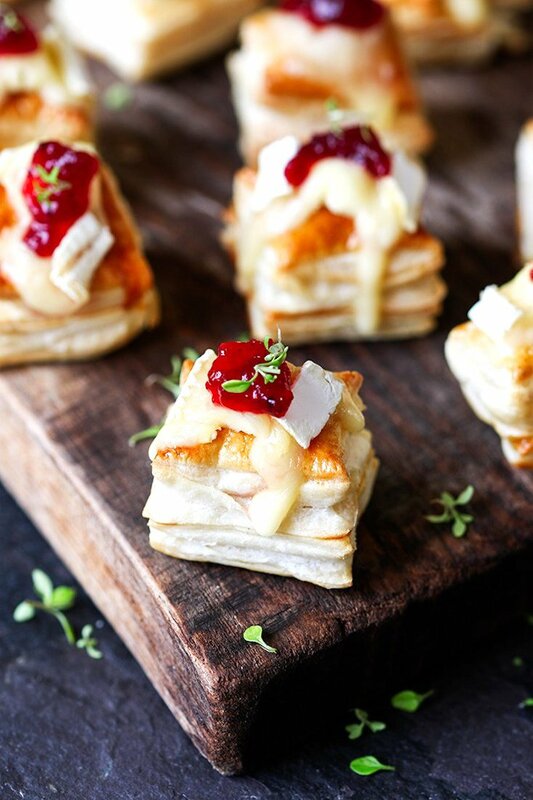 Don’t expect to have any leftovers of these Cranberry and Brie Bites. They won’t last very long after you serve them! 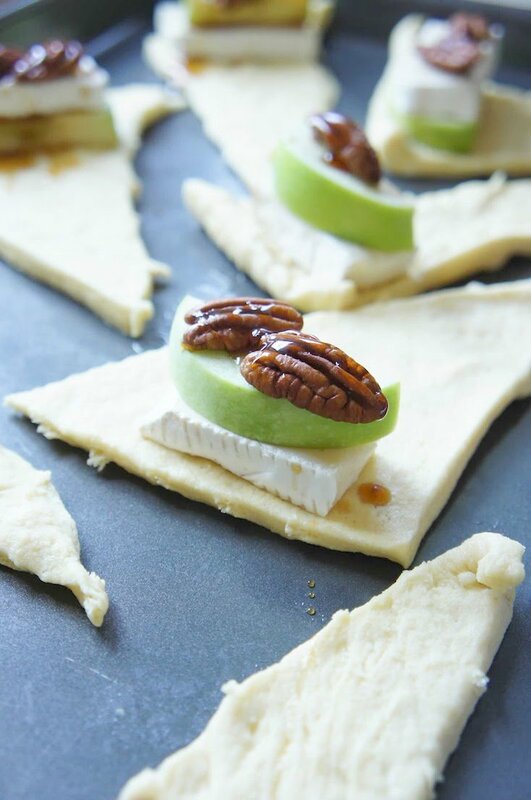 Creamy Brie, tart green apple, and sweet honey are rolled in flakey dough and baked in this Brie and Apple Crescent Rolls recipe. Is your mouth watering, too? Roasting does amazing things to foods, and that’s especially true with pears. 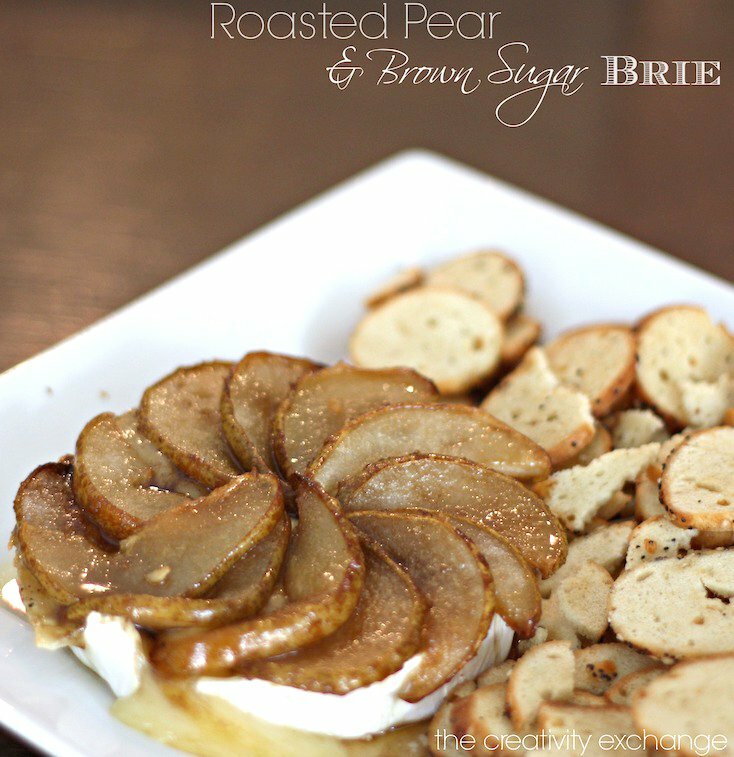 Cyndy’s recipe for Roasted Pear and Brown Sugar Brie makes an easy, delicious holiday appetizer. Chances are, each year you make some Christmas dishes that have been passed down through generations of your family, or maybe you’ve found some new recipes that have become favorites. 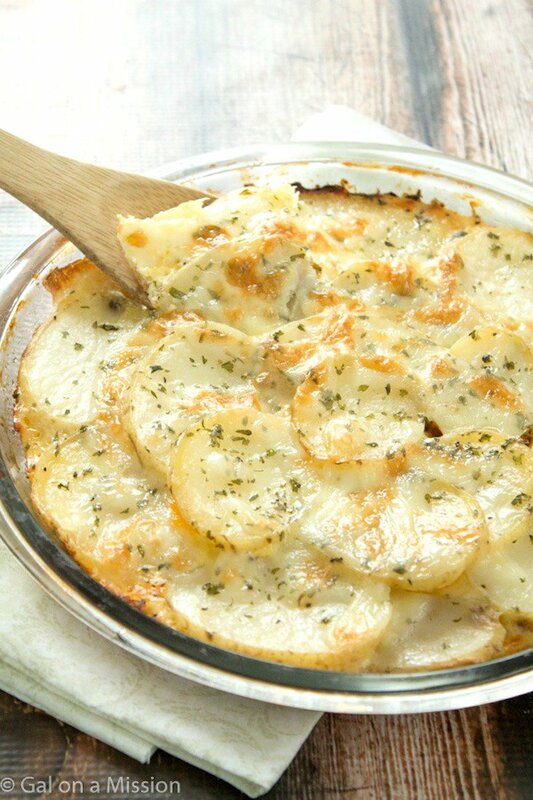 Here are a few more entrées and side dishes you might want to try. 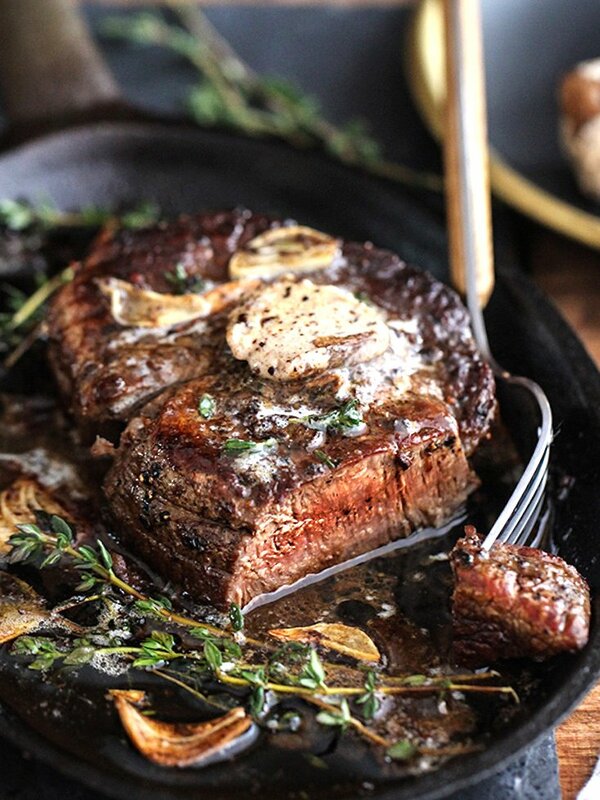 This Filet Mignon with Porcini Compound Butter is sure to impress your Christmas dinner guests. 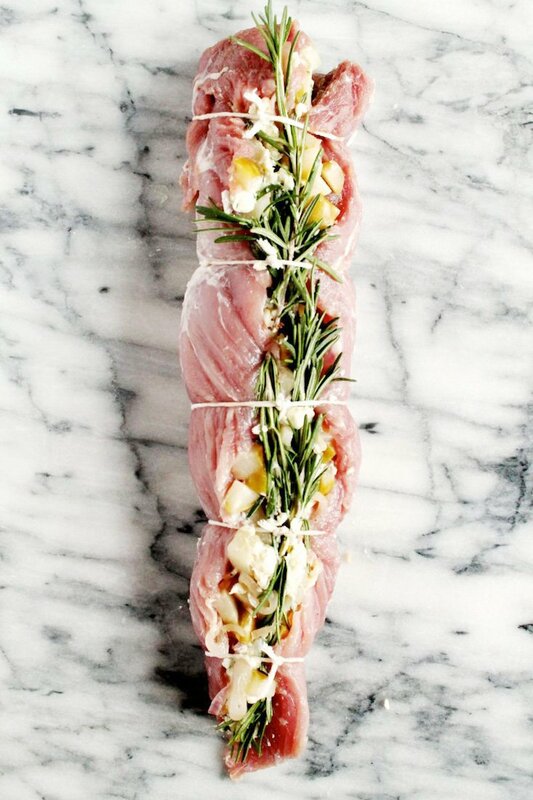 Serve this Pork Tenderloin Stuffed with Shallots, Poached Pears, and Blue Cheese, and you’re sure to get requests for seconds—and for the recipe. This Loaded Potato Casserole, made with russet potatoes, two kinds of cheese, and salty bacon, is the definition of comfort food. Break out the bread basket, and fill it with these savory and sweet breads, many of which will disappear quickly when set out as hors d’oeuvres (the savory versions) or desserts (the sweet versions). 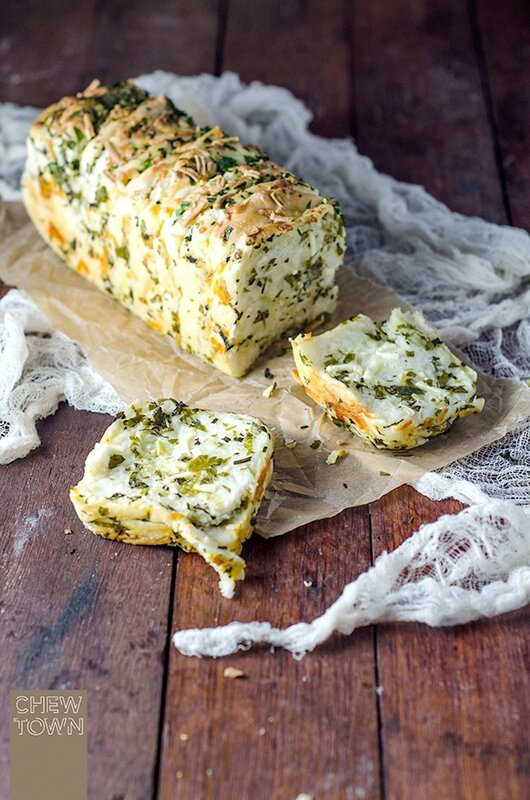 Warm, cheesy, and garlicky, this Garlic, Herb, and Cheese Pull-Apart Bread sounds like the perfect bread side. 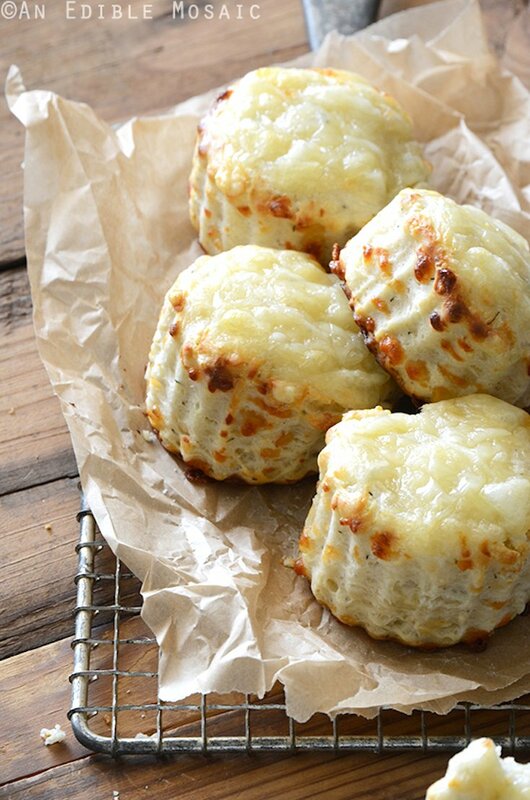 Scones are often thought of as a dessert bread, but one bite of these Savory Thyme and Swiss Cheese Scones will get you thinking about scones differently. 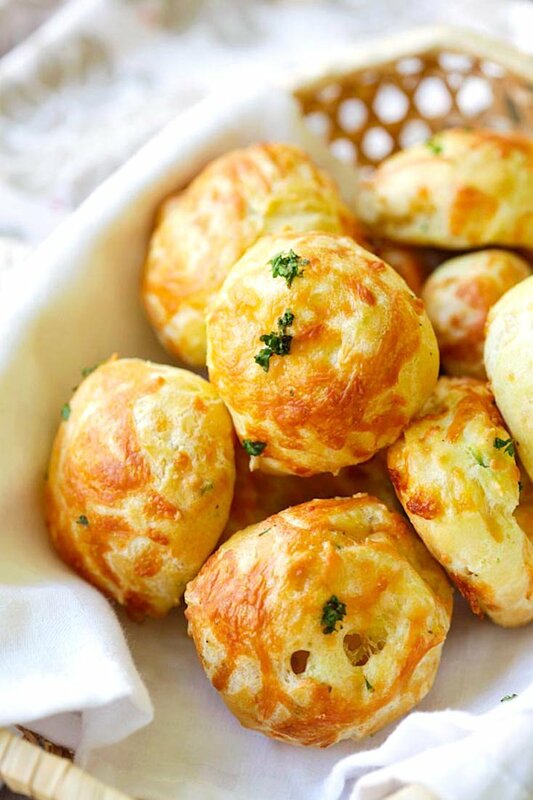 You might want to make a double batch of these light, fluffy, and cheesy Gougères, or French cheese puffs. The bread basket will be empty before you know it! 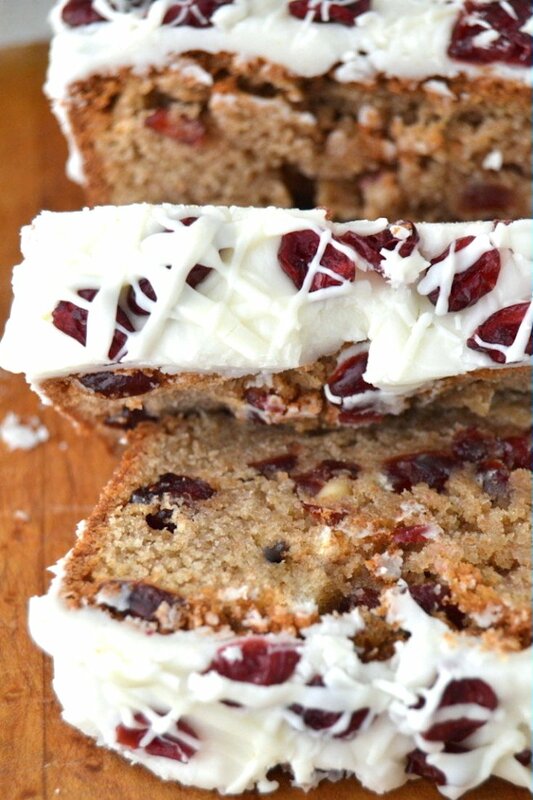 This sweet bread (almost more like a cake) is dotted with dried cranberries and white chocolate chips, frosted with vanilla icing, and drizzled with more white chocolate. Delicious! 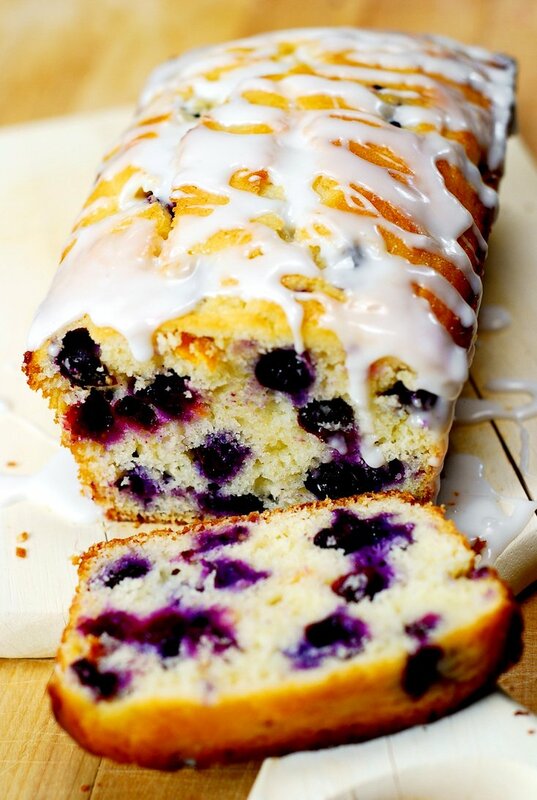 The comforting combination of blueberries and lemon in this Blueberry Vanilla Bread is made even better with the addition of a sweet lemon glaze. 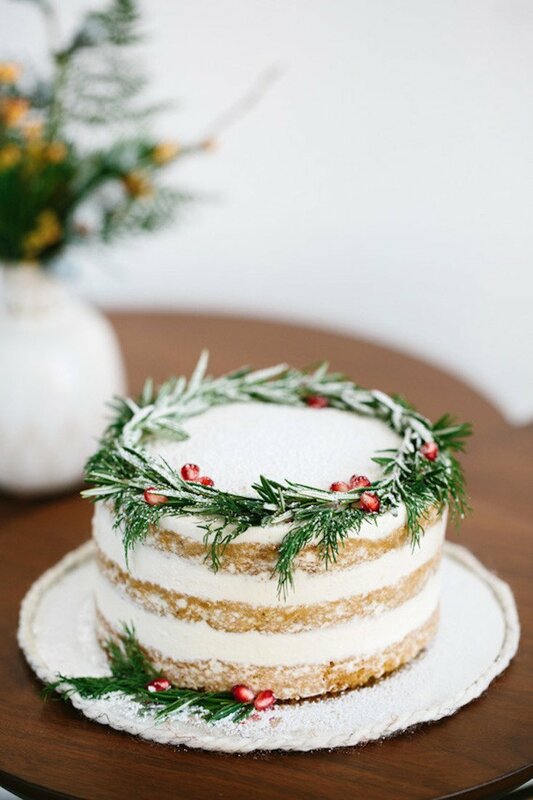 Cakes are welcome anytime—and often they make a lovely hostess gift during the holidays. 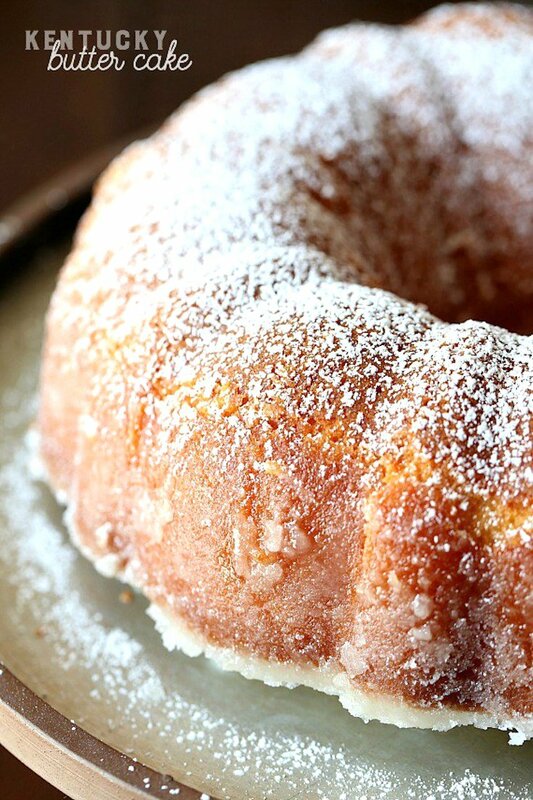 Here are a few fantastic cake recipes and some inspiration, too. 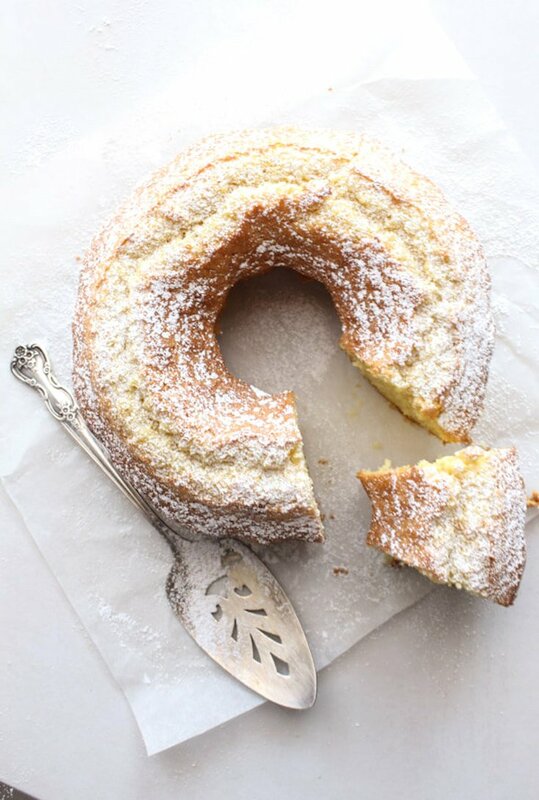 Served with coffee or tea, this moist and delicious Italian Fresh Cream Lemon Cake will be a hit at your next holiday brunch. 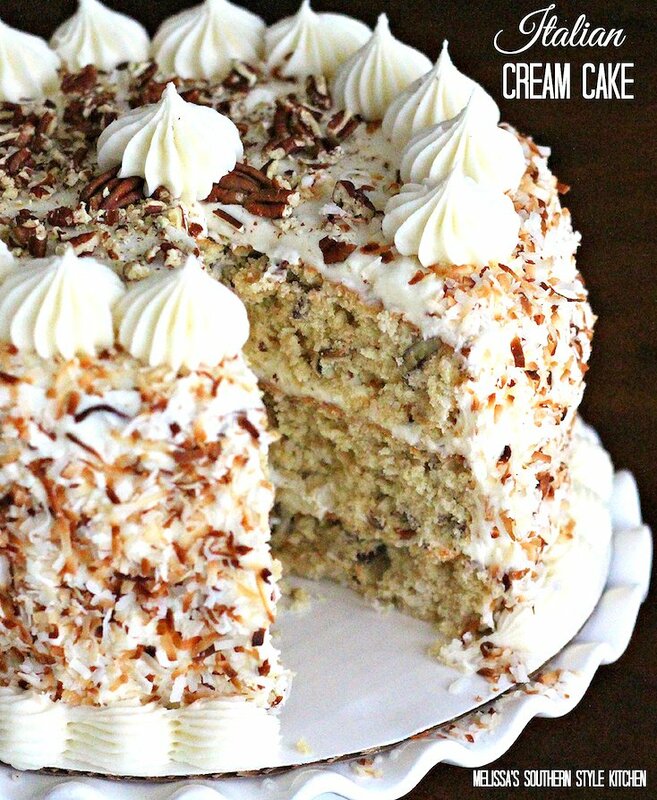 You don’t have to wait for a special occasion to make this rich and creamy Italian Cream Cake. After you taste it, you’ll want to make it for any and every occasion! Bourbon is good. Pound cake is good. 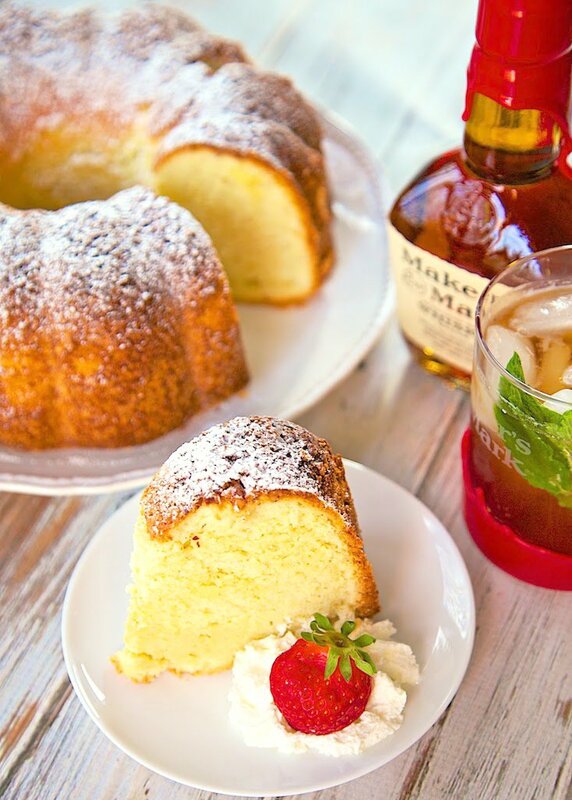 Bourbon Pound Cake sounds divine. 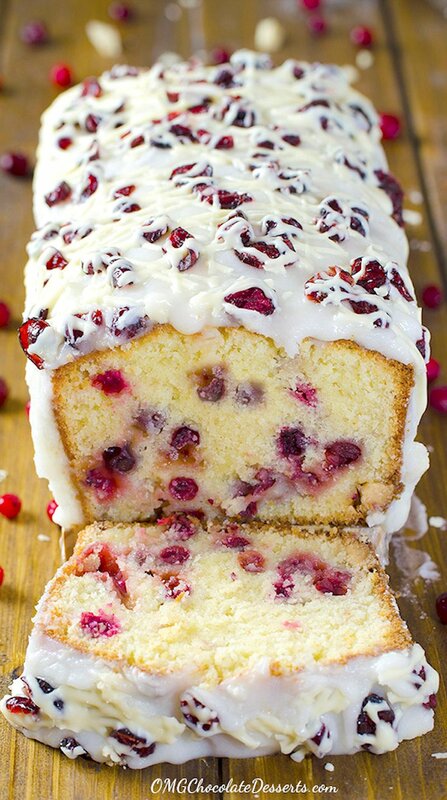 Cranberries are a popular ingredient in holiday recipes, and they’re wonderful paired with white chocolate in this Christmas Cranberry Pound Cake. 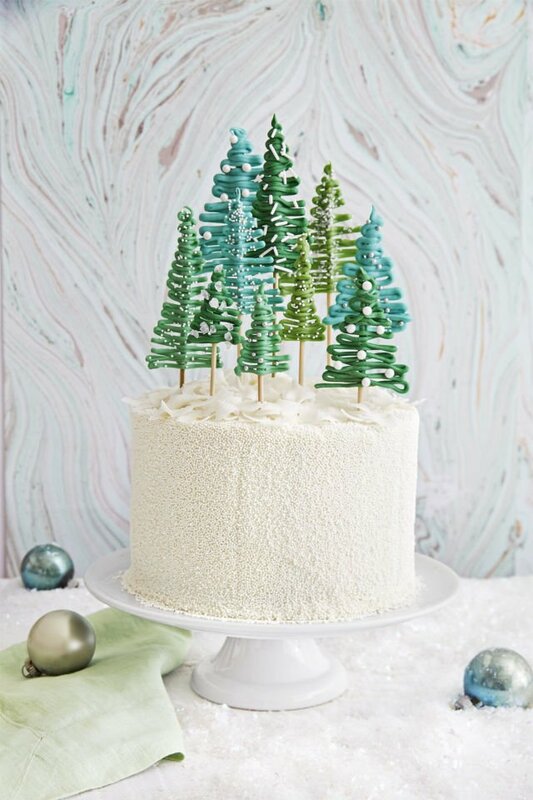 We LOVE these adorable cake tree toppers that are simply made with green candy melts and skewers. Such creative ideas! 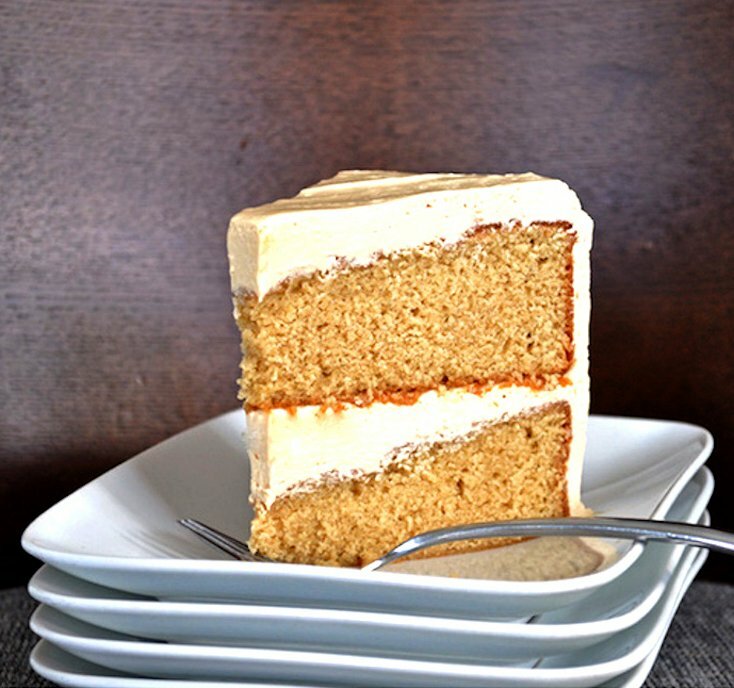 If you’re a fan of caramel, you’ll love this rich and flavorful Caramel Cake with Salted Caramel Italian Meringue Buttercream. 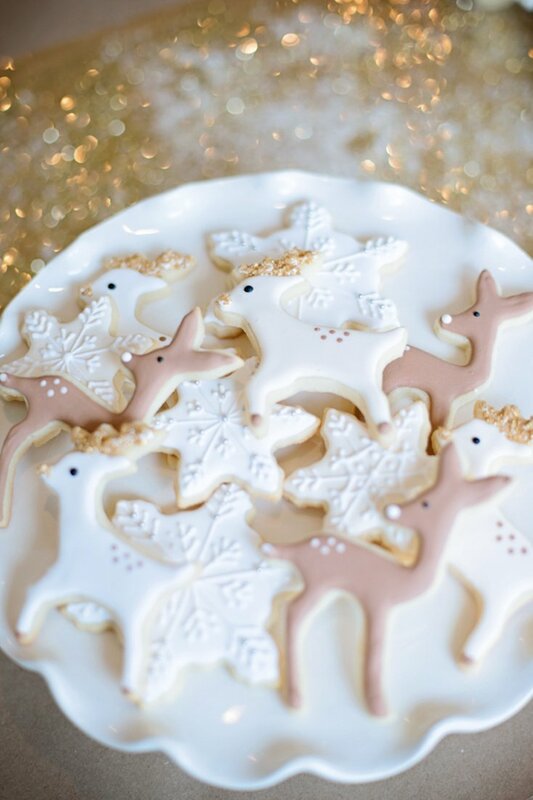 I don’t need a special occasion to bake cookies, and I’ll happily peruse Christmas cookies recipes all season long. Whether you keep them for yourself or share them as sweet treats for teachers, neighbors, or coworkers, here are a few creative cookies you might like. 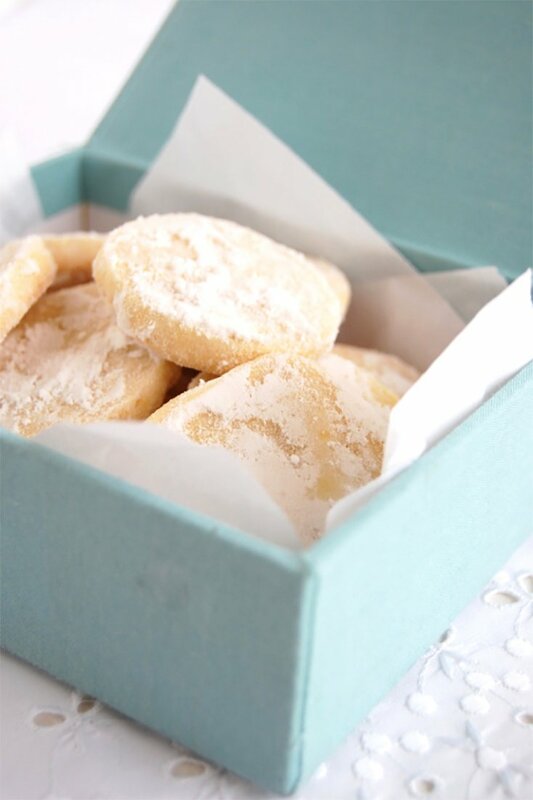 Lemon and shortbread just seem to go together, as demonstrated by these lovely Buttery Lemon Shortbread Cookies. 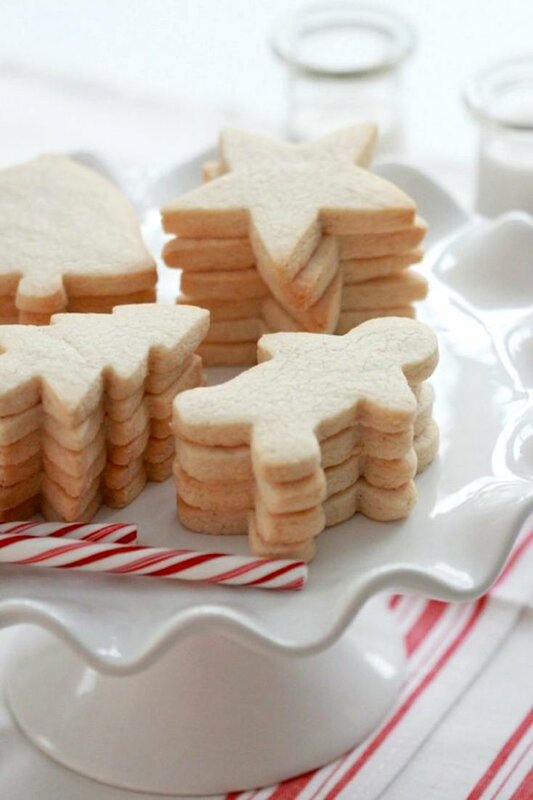 Stir up the dough for these Perfect Sugar Cookie Cut-Outs, invite your little ones into the kitchen with you, cut out some holiday shapes, bake, and start a new tradition decorating Christmas cookies together. 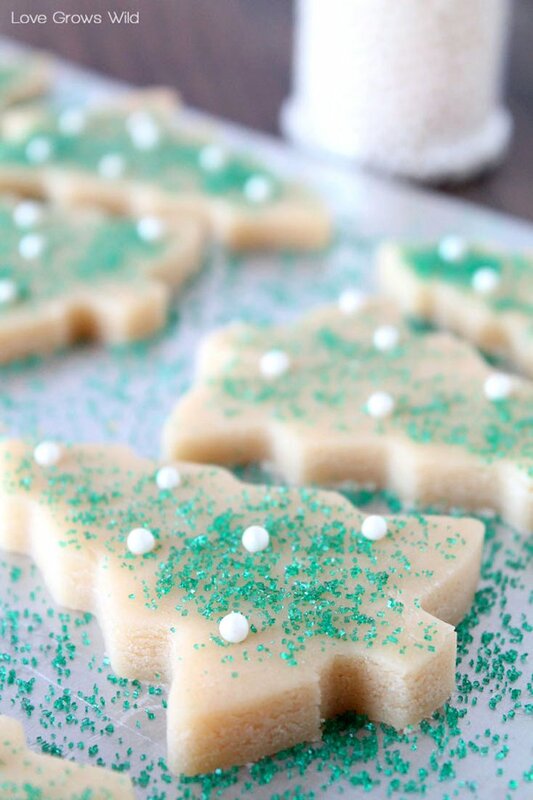 These Easy Slice ’n’ Bake Vanilla Bean Christmas Sugar Cookies have the vanilla flavor “bumped up to the max.” As a lover of all things vanilla, that sounds just about perfect to me! Snickerdoodles are my all-time favorite cookie. These Snickerdoodle Cut-Out Cookies aren’t technically snickerdoodles, but they’re cinnamony and sugary and delicious. If you find some cookies cloyingly sweet, these melt-in-your-mouth Christmas Pecan Balls might be just what you need to get back into the Christmas-cookie spirit. Need more sweets? 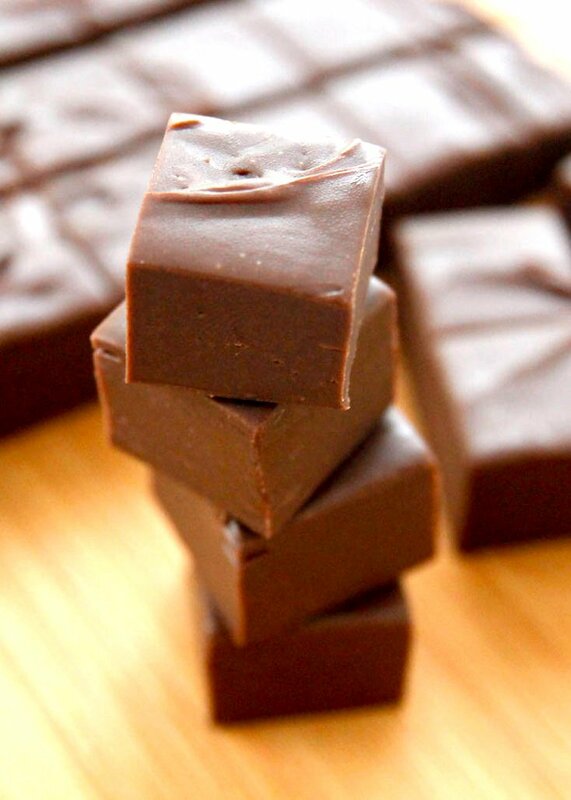 Here are a few more sweet—and sometimes salty—treats that will satisfy your sweet tooth. These sweet and tart Sparkling Sugared Cranberries are indulgent snacks by themselves. 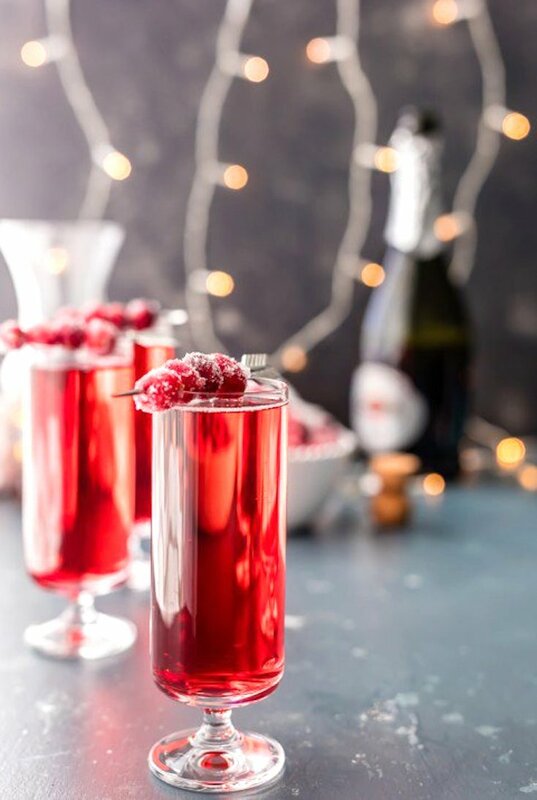 Add them to holiday cocktails, like the earlier Sugared Cranberry Ginger Mimosa, and things get a bit more festive! 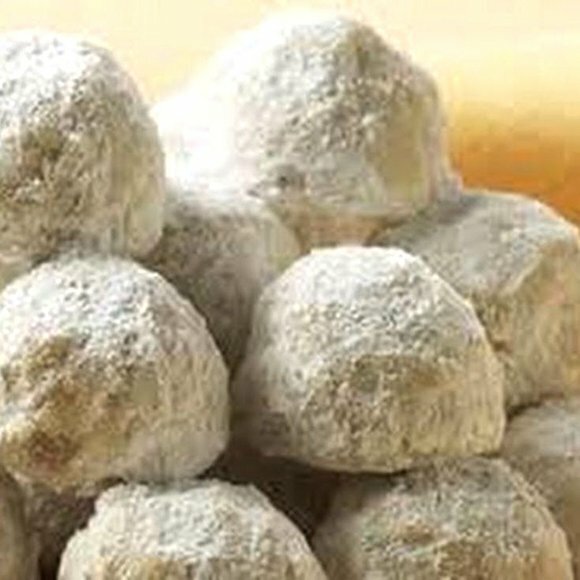 This is Cyndy’s recipe for her microwaved Easy Sugared Pecans. She also shares her “Merry Christmas” tag so you can gift these sweet nuts. 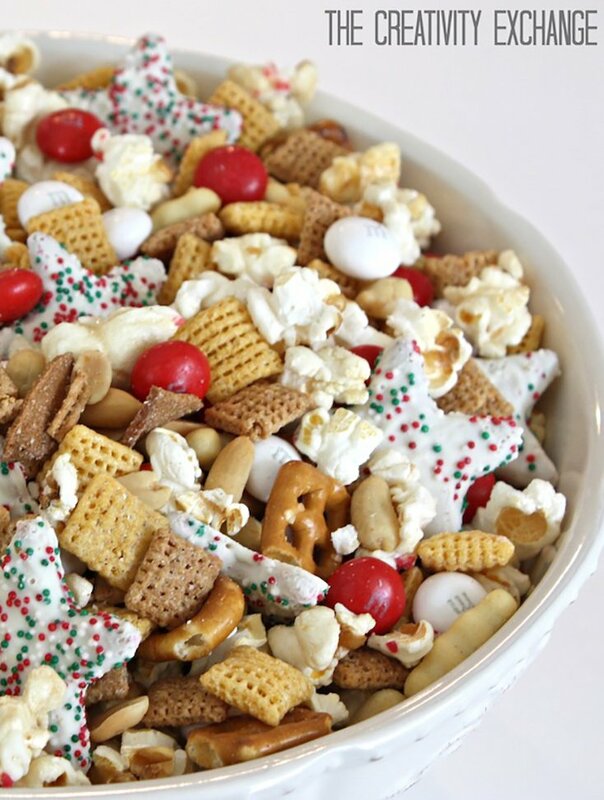 One bite of Cyndy’s Sweet and Salty Christmas Snack Mix will lead to a second … and a third … and maybe a fourth …. 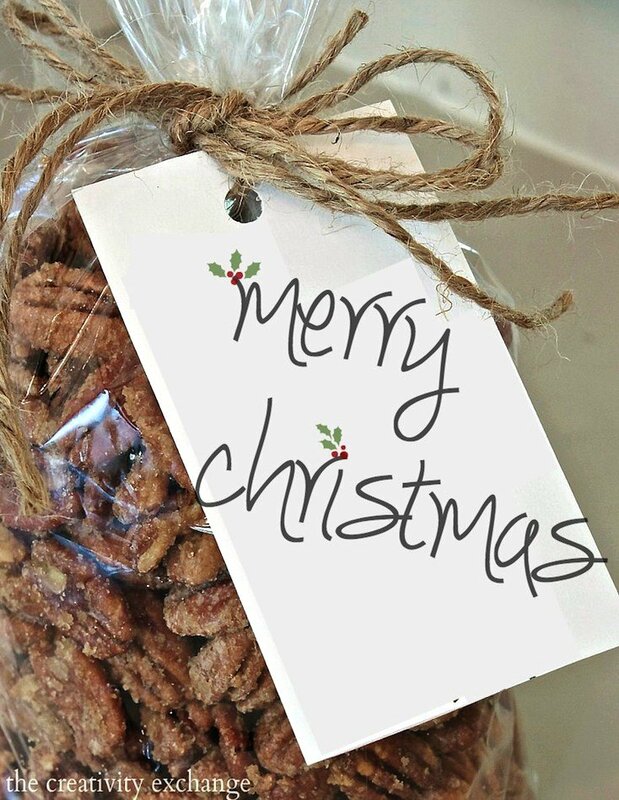 Pack some in a pretty biscuit jar to give as a tasty gift if you have any left. Finally, it wouldn’t be a Christmas recipe roundup without fudge, a staple of Christmas candy trays all over. 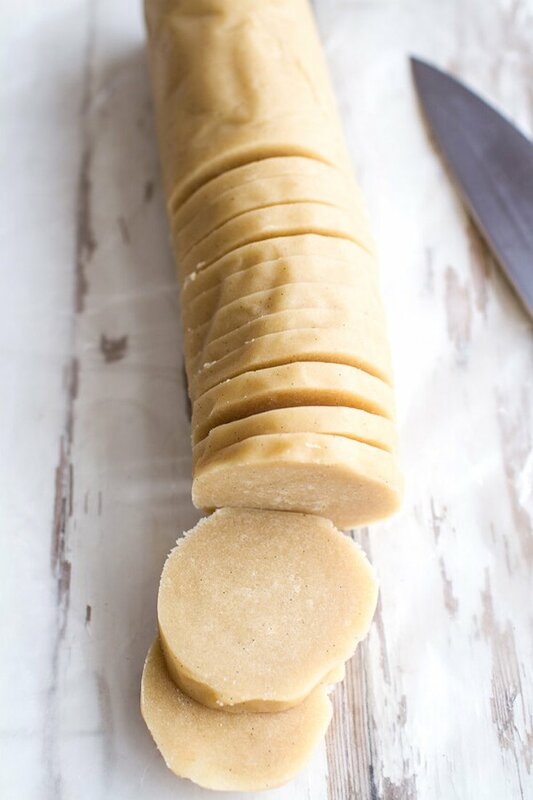 If you’ve never made fudge, it can seem intimidating, but this Three-Minute Fudge recipe makes it so quick and easy—and delicious! Here’s hoping some of these delicious Christmas recipes grace your table this holiday season! So many delicious recipe. I’ll definitely be trying a few of these. Thanks.